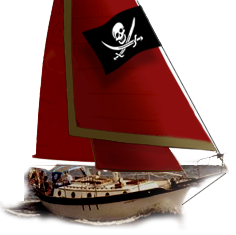 Westsail Owners Alliance - Thread: ""Sea Gypsy" - Info Wanted!" Thread: ""Sea Gypsy" - Info Wanted!" "Sea Gypsy" - Info Wanted! Begin Thread: "Sea Gypsy" - Info Wanted! There is a Westsail 32 listed for sale down in Ft. Myers called Sea Gypsy. The contact name is Rita. I have called several times with no reply back. Does anyone know anything about this boat? Reply #1 on: "Sea Gypsy" - Info Wanted! Reply #2 on: "Sea Gypsy" - Info Wanted! Reply #3 on: "Sea Gypsy" - Info Wanted! I spoke with Rita this morning and someone has given her a deposit and intends to transfer the money tomorrow (Monday). Reply #4 on: "Sea Gypsy" - Info Wanted!